Robotics technology has proven to evolve at a rapid pace. In 2015, Uber began testing the first of its self-driving cars, and in 2016 it launched 16 self-driving SUVs in San Francisco. With the innovations of today providing just a small glimpse into future advancements, the robotics industry eagerly has its sight set on 2018. As we roll into the new year, we’ve got our eye on five particular trends that we think could characterize the next robotics wave. Talent demand & salary hikes for specialized workers – According to data released by research firm International Data Corp’s (IDC) Manufacturing Insights Worldwide Commercial Robotics program, b the year 2020, 35 percent of robotics field jobs will be unfilled as the demand for talent increases, while median salaries in these positions will increase by 60 percent. Growth in robot-as-a-service (RaaS) – Innova Research predicts that within the next two years, people should expect to see more commercial, service-based robots integrated into a variety of global industries. These specific robots will function as “pay-as-you-go” workers, “according to the service type and the time taken by the service.” By 2020, this model will make up 30 percent of the global robotics market. Governments will intervene in robotics growth with regulations – With robots potentially displacing humans in certain positions, government action will explore unions, rules, and incentivizing companies to maintain human employees while incorporating robots into their workforce. 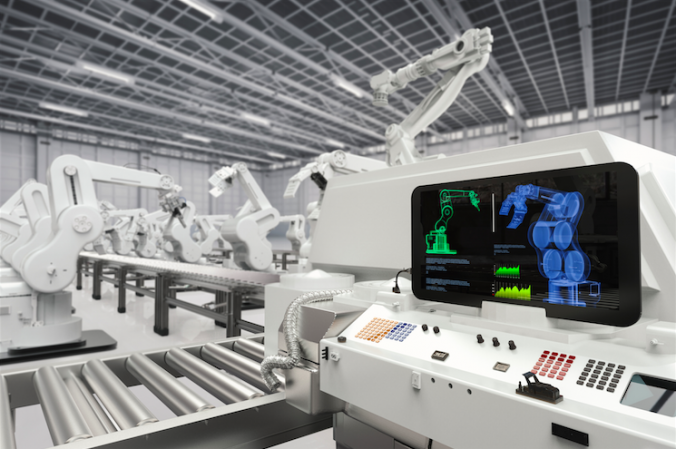 More collaborative robots – In less than a year from now, research suggests that 30 percent of all newly produced robots will be collaborative robots. These robots function in tandem with human workers, and by next year, will work three times more efficiently than the same robots of today. Increase in software-based robots – More and more robots are programmed using cloud-based software that can be shared with and distributed to a diverse range of robots. Robots will depend on software engineers to provide the cloud with information they need to function, like certain cognitive capabilities and skills. For software engineers seeking to develop an advanced set of robotics technology skills, Brandeis GPS will now offer courses in robotic software engineering in 2018. Learn more. Brandeis University’s Graduate Professional Studies division (GPS) is dedicated to developing innovative courses and programs for working professionals. GPS offers 11 fully online, part-time master’s degrees and one online graduate certificate. With four 10-week session each year, Brandeis GPS provides exceptional programs with a convenient and flexible online approach. Courses are small by design and led by industry experts who deliver individualized support and professional insights. For more information on our programs visit the Brandeis GPS website. Robots are also programmed using cloud-based software, which are shared and distributed with various robots. Robots will depend on software engineers to provide clouds with information to act as some cognitive abilities and capabilities.